I found two videos on the small Peaktech 6225 desktop power supply which examine it closely and arrive at pretty much the same conclusions. The more interesting of the two is obviously that which goes a bit further with the criticism, while frankly highlighting the strengths and not glossing over the weaknesses. And finally weighs the judgement, to present an honest picture. 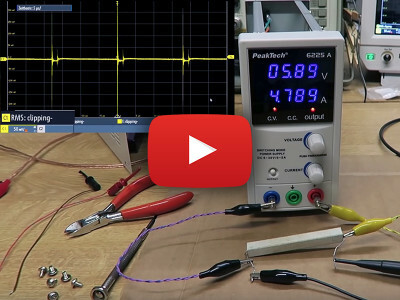 The point of offering these videos on (de)soldering is to encourage practical experience, conquer the fear of the unknown, and to close the gulf between the keen electronics enthusiast and those miniature components. For example, an interesting faultfinding video with these damned surface mount devices (SMDs)! Some believe they are impossible to handle without specialised tools. For others, changing a BGA has become a boring task. This week, for this episode of Elektor TV, I didn’t find what I wanted, but I hope that what I did find will pique your curiosity. 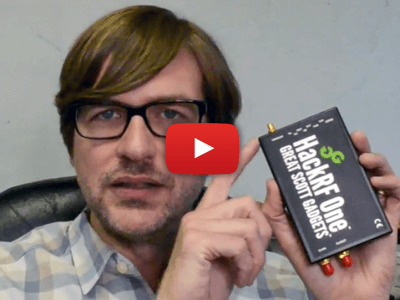 Software Defined Radio allows you to create receivers for any radio signal. You just need a single peripheral connected to your personal computer. HackRF One, is such a SDR peripheral, connected through USB. It receives or transmits signals from 1 MHz to 6 GHz. Designed to enable test and development of modern and next generation radio technologies, HackRF One is an open source hardware platform that can also be programmed for stand-alone operation. Here comes a dazzling DYI project allowing you to touch an electric arc (30 kV hey presto) with your bare fingers. No harm from that. Though powered by a mere USB charger, Spiral Micro Tesla generates spectacular and sonorous sparks. 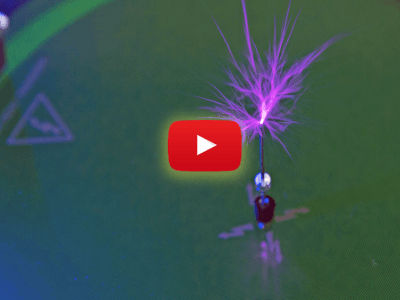 Instead of a large and potentially dangerous coil, Elektor presents this safe printed Tesla coil with limited energy, powered at under 5 V. The maximum power is 5 watts which can’t cause much damage, despite the staggering voltage. Take a 7-segment digit and make the colour of each segment freely programmable. A bright idea, but why the hell didn't anyone think of it before? Seven segment digits were patented as early as 1903. Only now we can freely program the colour of each segment individually and let it change instantly according to the parameters of our choice. 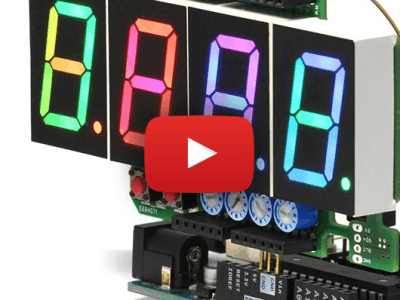 The 4 RGB-displays used in this RGB clock are available in the Elektor Store. The software uses the NeoPixel Arduino library.